The week of Oshkosh 2017 is now complete – we visited old friends and made many new friends. During the week we had many conversations about our 4130 and Docol tubes and the variety of streamline profiles we produce. 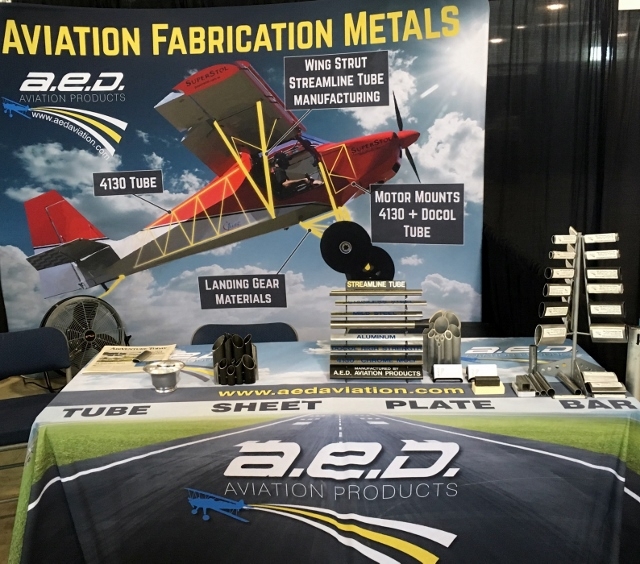 It was interesting how many aviation agriculture spraying operators we talked with about stainless streamline tubes for use in their chemical applications. We also introduced our new product line of Mister Tig MT 125 Tig Welders designed for the home builders. While we only sold half a dozen units we learned that these machines are exactly what a home builder or hobbyist wants. We will show the entire Mister Tig lineup at Sun N. Fun next April. One of the best parts of AirVenture is the international trade. We had numerous meetings and conversations with companies from China, Brazil, The Netherlands, Serbia, Ukraine and Australia. Most of whom are looking for assistance with a supply of materials for their local manufacturing while a couple of them are preparing suppliers for newly established US based production. We should also make a special note of two of our streamline tube customers for their aircrafts outstanding achievements in winning categories in the Lindy Awards ( named after Charles Lindbergh) these awards are only given out to the best of the best aircraft in class. And on a final note – Thank you to Dave Wenglarz, of Wings Metal Works for representing A.E.D. Aviation Products at the Vintage Aircraft sheet metal shop. We have numerous visitors head over to our booth in Hanger A to talk about assisting with their projects in many ways. I don’t think Dave recognizes how strong of a reputation he has in the sport. Great work Dave! In short the show was fantastic – the level of aircraft on display was outstanding but what stood out most for us was the historical military warbirds present and the current military aircraft that truly shows our strength and capabilities. Way to go U.S.A.